Burras Ltd have been established for over 30 years and have been constructing reinforced concrete structures and providing professional groundworks since launch in 1979. We offer a full range of services, and we can work on and manage projects of all sizes up to £15 million. 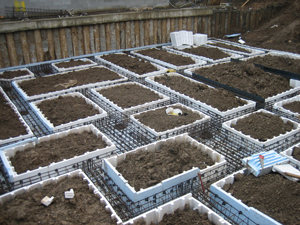 The reinforced concrete structure solutions that Burras Ltd can undertake including car park construction, hard landscape schemes, drainage projects and roadway projects.